Understanding High Blood Pressure - What is Hypertension? Blood pressure control is a common issue among western population. Usually the story goes like this: Repeated spells of dizziness and headache which led you to your GP office from where you came out with the consultation results confirming the diagnosis of “arterial hypertension”. Now you officially belong to the 40% of the adult population worldwide that suffers from the same disease. According to the newer statistics from the American Heart Association, fewer Americans are dying from heart disease and stroke, but deaths caused by high blood pressure are on the rise. Blood pressure is an essential component of the circulatory system that ensures the proper function of every body organ. During every heart beat blood is pumped from the heart to the body through a network of elastic and distensible hollow tubes of various dimensions, called arteries. The force of blood flow against the walls of the arteries is defined as blood pressure. The arteries contain specific receptors that make them responsive to diverse stimuli from inside the body or from the outside environment, allowing the arteries to adjust their size so as to maintain normal blood pressure levels. Every blood pressure reading has 2 components: Systolic and Diastolic. the bottom number to diastolic pressure. Lets consider you go to the doctor and they say your blood pressure is 120/80. The first number is higher and represents the systolic pressure — when your heart contracts pumping blood out of your heart. Normal readings are between 90-120 millimeters of mercury (mmHg). The second number is lower and represents the diastolic pressure — when the heart is relaxed and blood is filling the heart. Normal readings are less than 80 millimeters of mercury (mmHg). Blood pressure numbers are in millimetres of mercury (mm Hg), like barometric pressure and other types of pressure. Both numbers must range between the normal limits. If one of them is high its a problem. High blood pressure is called hypertension. Translated in numbers means that systolic pressure has to be more than 120 while diastolic may be above 80 or normal. Increase in blood pressure may be either occasional or persistent. Blood pressure presents small fluctuations during the day depending on how active you are. During intense activity the blood pressure is increased to meet the body needs in micronutrients and oxygen. Oxygen is transported by blood bound to a protein called hemoglobin. The autoregulatory mechanisms of the body fail to control blood flow efficiently. The arteries have lost their elasticity and are unable to respond to autoregulation. Essential or primary or idiopathic: high blood pressure occurs without an obvious cause and the rest of your work up is normal. Essential hypertension and has been linked to certain factors like age and environment. Tends to affect more men than women, and blacks are twice as likely as whites to develop high blood pressure until 45 years old and after 65. Secondary: High blood pressure occurs as a symptom of other diseases. For example if you suffer from sleep apnoea you are at to develop high blood pressure. Exremely high blood pressure that develops suddenly and causes organ damage. 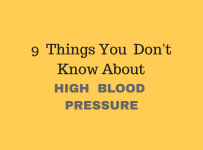 Most frequently occurs in the context of already established high blood pressure but also due to other causes like kidney disease or medications. Atherosclerosis: Cholesterol builds up inside the inner layer of arterial wall, leading to the formation of plaques which render arteries narrow and stiff. Diabetic blood vessel disease: Both types of diabetes may irreversibly harm blood vessels. The impact of disease is more evident in the small arteries like for instance peripheral (i.e. supplying toes and fingers) and coronary arteries that supply the heart muscle. Collagen disorders: Collagen is a structural material which provides support and elasticity to several types of tissues. Defective collagen turnover has multiple effects to the function of several organ systems including cardiovascular. Arterial walls become thin, friable and susceptible to extreme blood pressure fluctuations. Lupus erythematosus, scleroderma and collagen vascular disease are some collagen disorders that could result in high blood pressure. Sleep apnea: Apnea occurs when your breathing is interrupted for few seconds to several minutes during sleep. During that period, levels of oxygen in your blood become very low. Your central nervous system realizes the difference and signals your arteries to become tightened in order to send more blood to your heart and brain. If you suffer from sleep apnea, spells of breathlesness will occur several times during your sleep cycle, giving you blood pressure a constant stimulation to rise. Kidney disease: The kidneys are a basic component in the blood pressure regulation. Blood pressure control through renal system is exerted through blood volume and electrolyte regulation and the release of certain hormones that affect blood pressure. Medications: allergy drugs, birth control pills, cough and cold medications, pain killers (Ibuprofen, Naproxene) and MAOI’s. Doctor’s presence: This is the so called “white coat hyprtension”. Watch the video: What does Systolic and Diastolic Blood Pressure means?